i am not a dealer,its my own bullet. 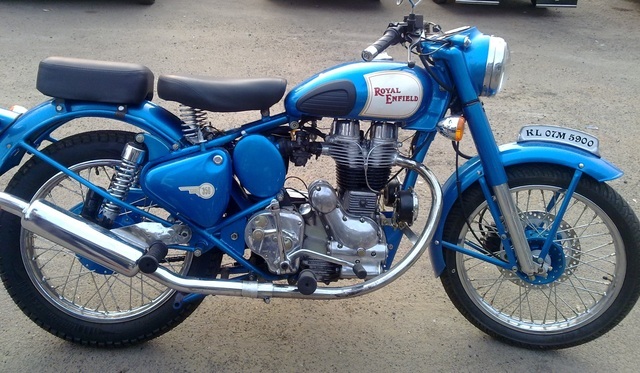 Royal Enfield standard 350 bullet,MODIFIED bullet. 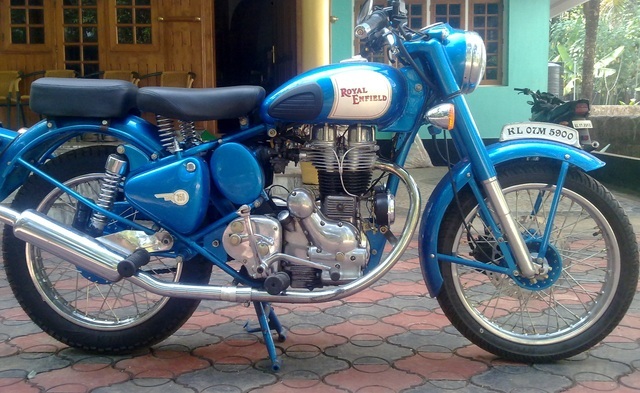 EXCELLENT CONDITION,ATTRACTIVE LOOK..metallic blue painted ,NO SINGLE SCRACHES ON BODY.clean and neat. Total work done,no need to spend money. new front and back tyres. FRONT DISK BRAKE. services has been done regularly. tax and insurence papers are ok.